Big news! Thrilled to announce that my short story, “Battle Not with Monsters” has been accepted by Cemetery Dance magazine, and will be out with them in 2018. This will be my second story in the magazine (I was in Issue #72 alongside Stephen King last year), my third with them in general (“Stillness” in Shivers VI my first), and fourth acceptance overall (my collection Tribulations was released in eBook with CD last year). Huge fan of the work they’re doing, and it’s an honor to publish with them again. Thank you Richard Chizmar, Blu Gilliand, Norman Prentiss, and Brian Freeman for your continued support. Means a lot. Well, here’s some great news. My story, “From Within” was just named a 2016 Notable Story by storySouth, as part of the Million Writers Award. In great company. 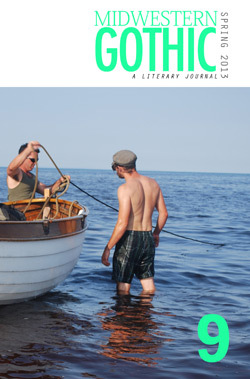 This story was originally published in Slave Stories: Scenes from the Slave State (Omnium Gatherum) edited by Chris Kelso, and reprinted at Cease, Cows. Thanks, H.L. Nelson and Kate Jonez for the support. 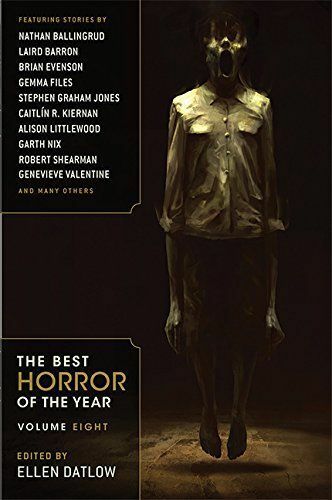 (It was also long-listed for Best Horror of the Year, edited by Ellen Datlow.) Nice way to end the year! 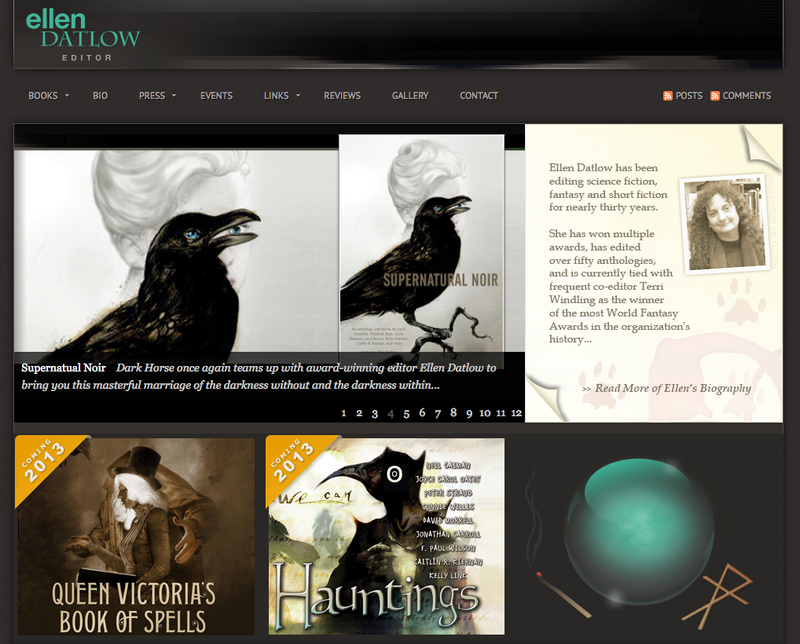 Whenever Ellen Datlow puts our her long list for Best Horror of the Year, I rush over to see if I made the list. (I imagine quite a few of us do that, right? LOL). Thrilled to see that I made it TWICE this year (which is a first) for “From Within,” in Slave Stories: Scenes from the Slave State AND “White Picket Fences,” in Shadows over Main Street. So many friends and peers on this list as well, congratulations to everyone, but I get a special thrill from those in Exigencies: Bill Johnson for “Searching for Gloria,” Jason Metz for “Single Lens Reflection,” and Letty Ann Trent (who got IN). We’re going to be giving away a FREE eSingle of my contemporary vampire short story, “Transmogrify” soon. Cinder (Cindy to her friends) feeds on negative energy—she’s a psychic vampire, or energivore, a bit of a twist on the classic tale. It’s in my upcoming collection of neo-noir and horror stories, Staring Into the Abyss (Kraken Press) which is out in March. I just wanted to share this excellent cover art by George Cotronis and get you excited about the collection. There are some fantastic stories in here, including “Maker of Flight” which won a contest at ChiZine, “Stillness” which was in Shivers VI (Cemetery Dance) with Stephen King and Peter Straub, “Splintered” which was in PANK, “Rudy Jenkins Buries His Fears” which was in Slices of Flesh (Dark Moon Books) with Jack Ketchum, Ramsey Campbell and Graham Masterson, and “Twenty Reasons to Stay and One to Leave,” which was nominated for a Pushcart Prize by Metazen. So STAY TUNED! 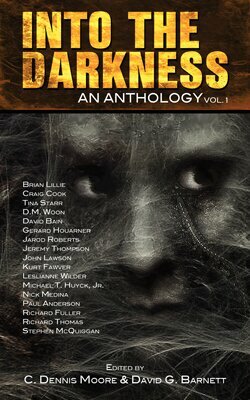 I’m thrilled to announce that my story “The Wastelands” is now out in the Necro Publications anthology, Into the Darkness. My story is about a man who loses his family, a golem he befriends, and the lengths he goes to in order to get his wife and children back. Sure, there’s a succubus in it, why not. Out now in paperback and eBook.